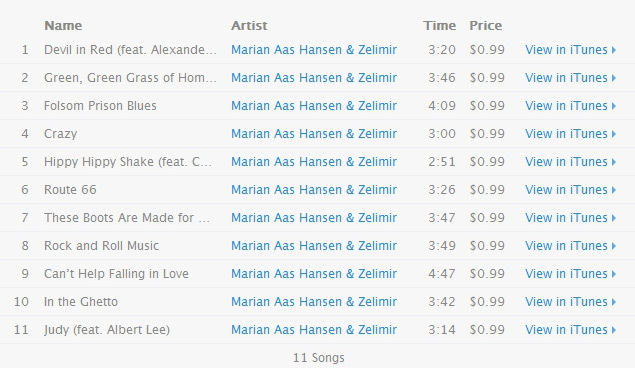 In 2015 Marian Aas Hansen, Norwegian music star, and Zelimir met doing music from The Beatles. Getting to know each other, they discovered their shared love for American music. She as a singer in Big Bands from her teens, and he as a Rock'n Roller all his life. 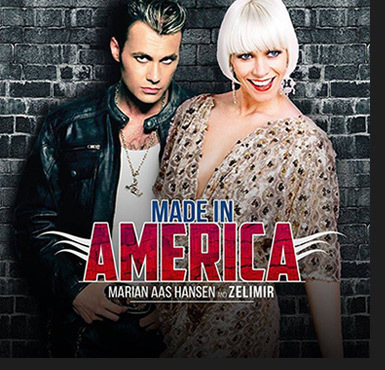 A few years back, Zelimir had written a manuscript and had the idea for a show based on American music, and suddenly there she was, the one who wanted to do it with him! This show is a mix of all that great music that has roots in America and that so many people love all over the world! Celebrating the greatest artists of all time such as: Elvis, Dolly Parton, Johnny Cash and more. Swing, gospel, rock'n roll, country and rhythm'n blues! Together with great musicians, dancers, virtual productions and artists who love the music, this is a different night and a different showconcert that has been in Oslo before! CD release (November 8, 2016) with the songs from the show plus the original written songs are being recorded in Nashville, TN.